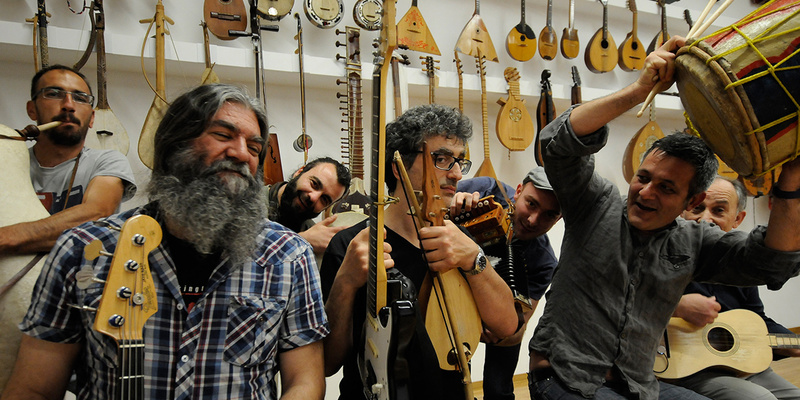 Re Niliu is one of the pioneers of world music in Italy. Founded in 1979, the band returned with a new album after twenty years of silence. 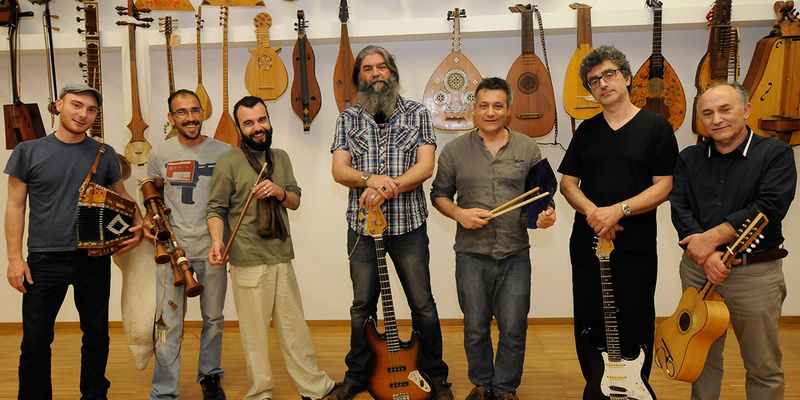 Re Niliu stands out for his electroacoustic sound that crosses the oldest instruments of South Italy with a refined and polychrome rock. In 2015 has been published “In a Cosmic Ear”, a visionary album in which ancient voices, lira, bagpipes seek balance with a contemporary sound in music and lyrics. Four historical band members have decided to re­establish the band that stopped the way in 2001. Other new shipmates were added. 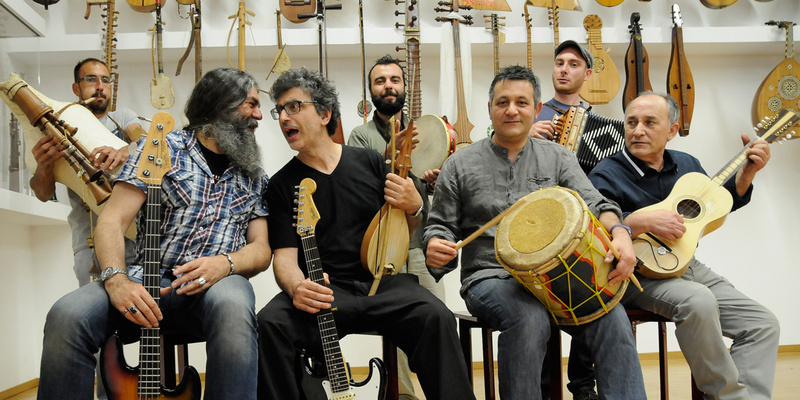 The dream of a cosmic Calabria, between ancestral roots, migration and global soup, give to the Re Niliu music that boost unmistakable that made famous the band during the years.